Are you new to stamping? Take a breath. 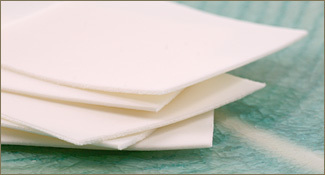 We have combined the necessary materials right here (from stamp set to pro-polish pads). 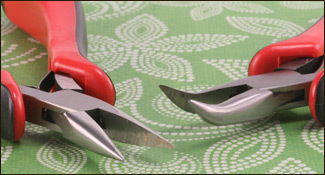 Don't be afraid to use a different hammer or bench block or stamp set than the one we have suggested. 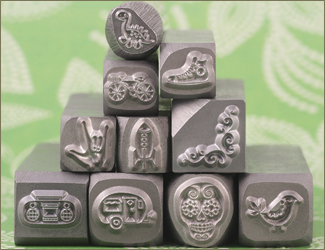 We merely want to make sure that you are checking off these 10 items to begin your adventures in stamping! 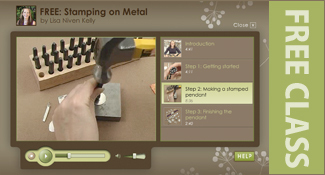 1) Our FREE Online Video Class "Stamping on Metal"
Join Lisa and learn all the basics on getting started with stamping with our FREE step-by-step video class. There is no right or wrong choice when it comes to picking your font. Browse through our fonts and decide what you would like to use in your designs. Two of our most popular sets are the Economy Uppercase Block Letter and Number Set and the Lowercase Kismet Letter Set (if you're feeling a little fancy). 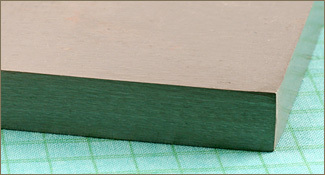 Use the Stamping Tape to mark measurements indicating where each letter should be placed. The thickness of the tape makes it so easy to catch the edge of the bottom of your stamp as you drag it down. Your letters will be perfectly aligned! Check out our selection of Bench Blocks. Made from high quality tool steel and ground smooth. 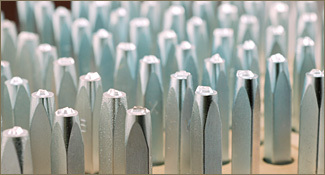 Ideal surface for stamping, forging or texturing. Gives a nice dead blow with less bounce. Great performance when dapping or stamping. 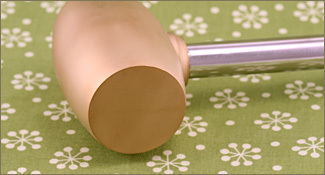 2 lb Brass Head Hammer/Mallet is also a great alternative, especially for those more detailed stamps. 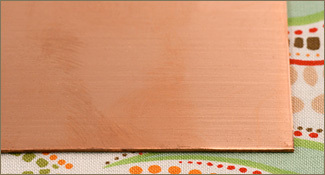 Copper or Aluminum sheet is an important item for practicing your stamping. Check out all our Sheet Metal. Do not forget this material for practice! 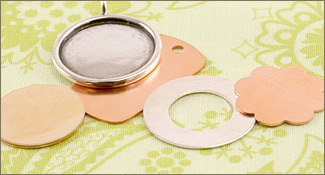 Your choices are endless: Sterling Silver, Silver Filled, Gold Filled, Copper, Brass, Nickel, Petwer, Aluminum and more. Use the filters on the left side of this page to choose metal, shape or thicknes. Just don't forget to practice on that copper sheet before you hit these blanks! 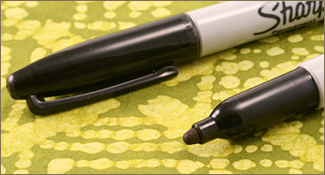 Permanent Black Marker is a quick way to darken the stamped areas of your jewelry. Once you color over your stamped word, just polish away with your Pro Polish Pad. Here are some other options for adding black to your impressions. Great for polishing or removing oxidation or ink from your blanks. 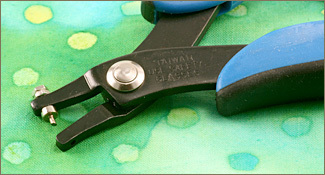 These are necessary for hanging your pendants once you have punched your hole. Check out our selection in various metals. 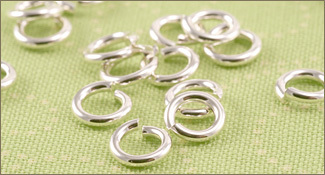 We love oval jump rings because your finished piece will hang with a lower profile and the opening of the ring will naturally be on the side making it less likely for the pendant to slip out of the ring. 18 gauge jump rings are perfect for your 1.25mm punched holes. 16 gauge jump rings are perfect for your 1.8mm punched holes. Look to our FREE Introduction to Chainmail class to learn how to properly open and close your rings. We packaged it all up, too! 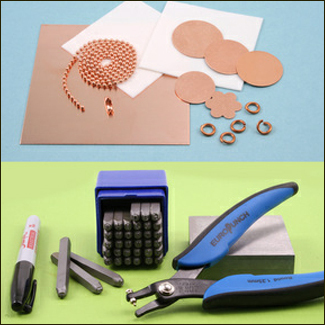 Our Stamping on Metal Starter Kit has everything you need with the exception of the hammer, design stamps and pliers. If you have a household hammer, this could be the choice for you. 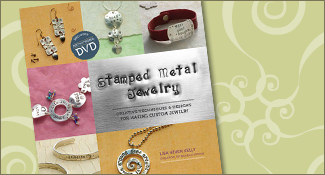 For more stamping ideas, check out Lisa's bestselling book, Stamped Metal Jewelry, or the follow-up book, New Stamped Metal Jewelry, by Lisa and Taryn! Step-by-step instructions on 10 projects! Learn to layer, rivet, texture and oxidize your stamped jewelry. Link stamped components with flat wire and wire wrapping. Create charms and incorporate stamped links into your beaded projects. Browse our vast collection of design stamps. Starting out with a less detailed stamp is easier.